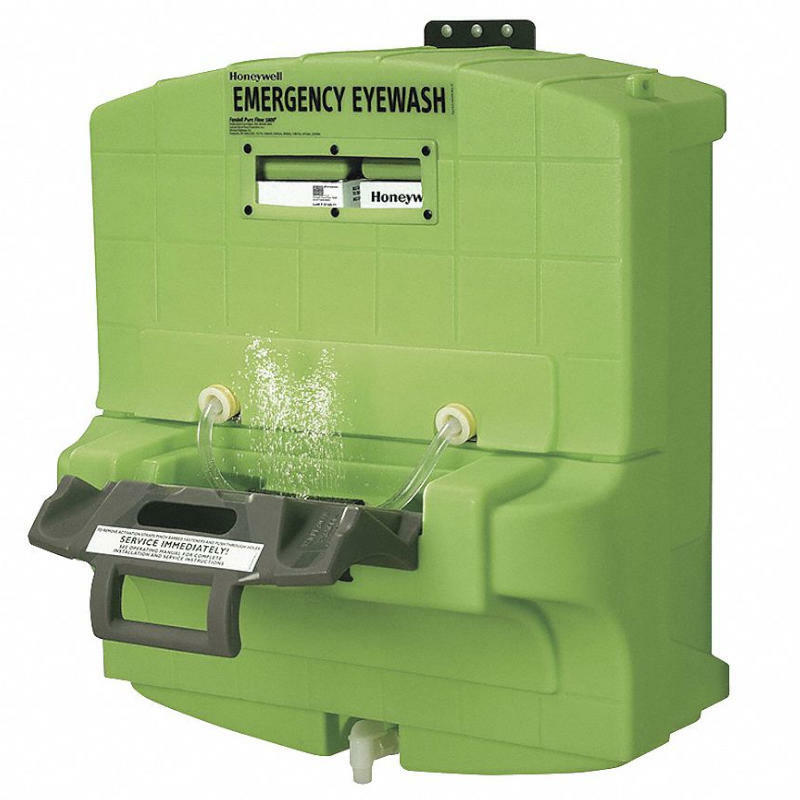 Lowest maintenance eye wash station on the market today. Purchase cartridges in the Product Options tab below. Easy to install into the Fendall 1000 in 5 minutes. Comes in two 35 lb. halves for ease of lifting. Protect the Fendall 1000 from dust and contaminants with this easy-to-install cover. The Fendall Pure Flow 1000 Eyewash Station is a self-contained unit that does not require costly plumbing and installation. Not only is this eyewash easy to install and use, it has a patented system that delivers purified, contaminant-free and physiologically correct saline solution from factory sealed cartridges. The Fendall Pure Flow 1000 features a fluid pressure balancing system that provides a constant fluid flow rate and stream height for the entire 15 minute flushing period as required by the ANSI Z358.1-2014 standard. There is no need to change the stored eyewash fluid every 6 months like conventional styles because of the factory-sealed fluid cartridges. These cartridges are only changed every two years and there is virtually no risk of contamination. Waste fluid is captured by a drop-down reservoir to eliminate spill hazards and a nozzle at the bottom that allows drainage of the waste fluid.